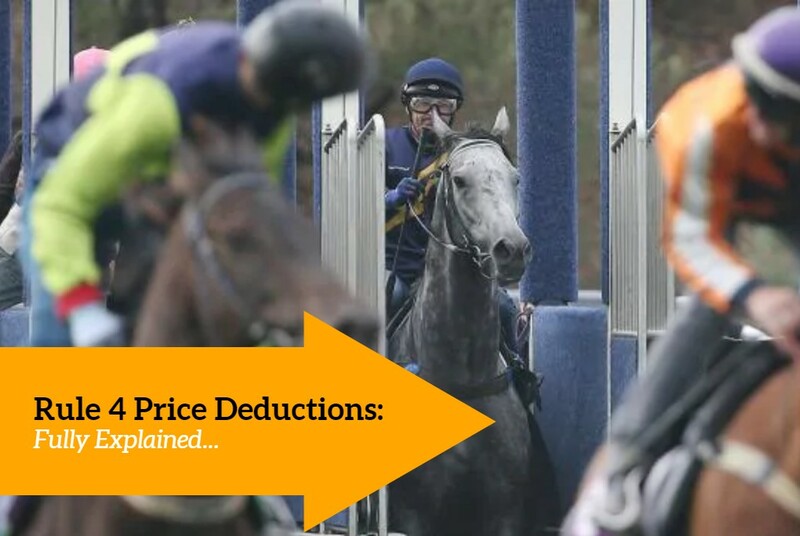 Rule 4 deductions can be extremely frustrating for sports bettors and traders alike. If rule 4 is triggered on a market when you didn’t realise, it could see you losing a lot of money. 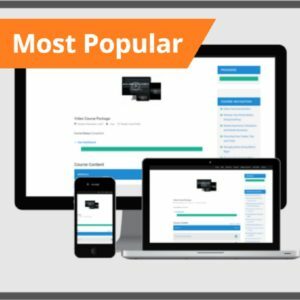 Recently this happened to a handful of users on our community forum. What Does Rule 4 Mean in Betting? 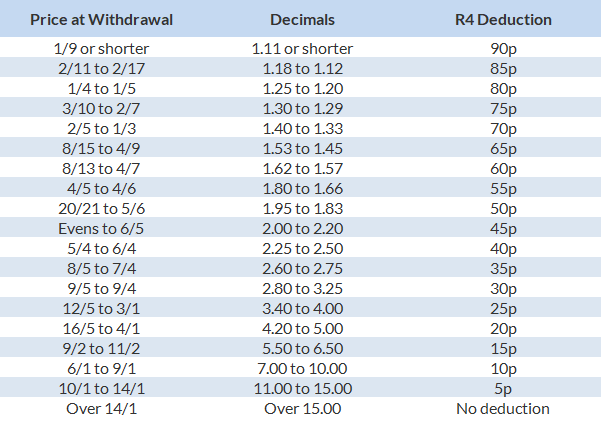 Rule 4 is the name given to a type of bet reduction that takes place on late withdrawals, before the start of an event. The reduction is only applicable to bets that have already been placed. Typically, rule 4 deductions correct the market for fixed priced bets. However, staring price (SP) and in-play bets are sometimes subject to a rule 4 deduction as the race turns in-play. This only happens when there is not enough time for the bookmaker or betting exchange to re-form the betting market. When Does a Rule 4 Occur? Before any horse racing ‘final declarations’ are made, a rule 4 does not apply. This rule is simply there to protect people who have placed a bet between the final racing declarations (usually around 24-48 hours prior) and the official start time. This is because the probability of a bet winning changes when some of the competition is withdrawn from the race. If you watch the racing channels you will typically see a commentator state that a horse is going to be withdrawn before it happens in the market. This is particularly obvious on the betting exchanges with their big red ‘suspension’ messages. 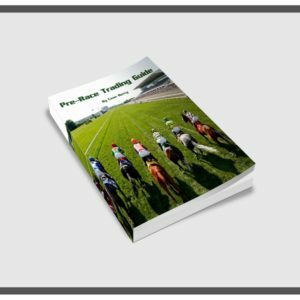 Depending on your betting activity, if you are matched betting, sports trading or arbitrage betting it could mean a change to your overall position. Be careful! On a betting exchange, similar rules apply. However, because it’s not a one-sided operation both back and lay bets are subject to the reduction factor – making it fair for all users. Otherwise you’d be losing out through no fault of your own. To see how the reduction factors are applied on Betfair’s exchange see this link. If you’re trading the exchange this can potentially spell disaster (as the forum posters mentioned above found out). Note: it’s quite rare this situation actually happens. Sports trading on Betfair is clearer if the best on your ladders or website interface are placed under the same intentions, so if you’re aware a late withdrawal is about to be made – hedge up first. Not everyone reading this article will be interested in trading though, they may just be looking to confirm a rule 4 deduction was correct! Assuming you had backed at 5/1 (for a £10 stake) and that race had a 4/1 withdrawal, there would be a 20p in the pound rule 4 declared. Note: If there’s more than one withdrawal, you will need to add in the additional rule 4’s. Why Does Rule 4 Exist? The reason there are different reduction factors at different prices is simple – if a horse with a higher chance of winning is withdrawn, there is more value left in the remaining prices. Whereas if an outsider is withdrawn, little changes because it didn’t have much hope anyway! If a bookmaker (or exchange) didn’t take rule 4 deductions from existing bets then it would be possible for customers to back all prices, at proportionate stakes and make a profit no matter what happened. In the same way a bookmaker creates a book, but in reverse. If the market leader is withdrawn and there is no rule 4 applied (horse 1) then you would be able to bet on horses 2 and 3 at both 3/1 and 12/1 respectively. Thus the reason for rule 4 deductions. It’s considered the fairest way to maintain the betting markets current trading position when a horse is withdrawn. What if Two Horses are Withdrawn? If you should find there are more than one late withdrawal down at the start, there will be multiple rule 4’s applied. See the above calculation and factor in the extras! 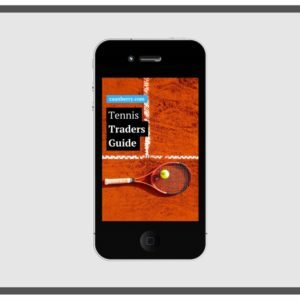 Hi Caan, a lot of useful information, the above is another reason if you are serious about trading you must have as near to live pictures as possible. Agreed, Mike. Live pics can stop you from getting in trouble as well as helping you out when exploiting certain market situations. Rule 4’s don’t happen all that often as the market goes in-play, but just about every time it does happen I see people getting stung by this, I have too in the past. Hence it was well worth posting up! Rule 4 is great for the Bookies. Funny how nothing is done for those of us who may have placed an early bet on ‘Dobbin’ being ridden by the great Jockey ‘Never beaten Jones’ only for a change to take place and ‘no-hope’ smith to take the ride instead. Can we get our money back? Can Pigs fly?!! !